So it begins! You have just reserved your room at a resort that you have been eyeing, revving for your next escape to a heaven lookalike of destination. You have spilled it out to some colleagues over a conversation by the water dispenser and your friends by the bar after work. But hold on! There is packing, planning, passport and the other gibberish that you would have to look into before you can start enjoying yourself. The bottom line is travelling is not as easy and fast as drive-through at a fast food joint, especially for freakishly organised people, or not you will definitely not be “loving it” (no pun intended!). For these people, you can never be more prepared, meaning they always have a plan A to plan Z, preparing themselves for the worst case scenario. Here are few things to note down and check off your checklist before you even begin your dream vacation. #1 Is your passport good to go? Say you’re heading abroad, the first thing that comes would definitely be your passport. Double check on its expiry date and ensure that it is good to go. If it is expiring, it’s best to get it renewed as most countries will not permit a traveller to enter their country unless the passport is set to expire at least six months after the final day of travel. In some countries, a passport itself is unable to grant you access into a country. This is where a visa comes into play. Fortunately, for Malaysia and Singapore, a passport is just enough to get you across the border with no worries. For Malaysians, it is pretty easy to renew their passport as you can get it on the same day upon application of renewal. You may have to bring along with you a new picture or have a new picture taken in the immigration office itself. In Singapore, the process may take a little longer, thus having to be notified via post when the passport is ready for collection. These days, passport renewal can be renewed and done online through their respective e-portal websites. You may click here for Malaysia, or here for Singapore. #2 Have you done your research beforehand? information which may potentially get on the wrong side of the locals. Looking up on the forecast weather would help you plan out your itinerary and activities that you intend to do and also the currency fluctuations, to know when would be the best time to exchange your currency to get the best value out of them. You might also want to look out for the nearest police stations, clinic, ATM machines or hospital in case of emergencies. If you are heading abroad, you will definitely want to know where and how to get to your countries embassy in case of an uproar or chaos which may potentially erupt in the country. Also, never to forget, read up on the interesting delicacies around, fun places to visit when in the area and maybe even the interesting nightlife spots if you’re up for it. Apart from all travel websites, blogs or forums, you can also refer to your friends for some extra information on the area if they have been there before. They might be able to provide a little more insight about the area and the culture relative to what you may find on the web. With all the research done, it’s now time to plan your travel itinerary. It would be helpful if you can map it down on a piece of paper, but of course with smartphones today, you have the option of typing it out. It would be less of a hassle since you would be bringing your smartphone relative to a piece of paper which you would be shoving down your pocket or bag, multiple times in a day. There are also various mobile applications that you can use that would help plan out your trip. The plus point about mapping it down is to ensure that you are able to see and do the activities you intend to while you are there, making full use of your time and energy during your short stay in the area. #4 How are you going to get there? You might probably get into your car and drive to your location, something most middle-class people would probably do. But if you’re intending to stinge on your cash and petrol and splash it on your vacation, then you might want to grab a bus. No, we don’t have to line up at bus counter like how we did before. All thanks to the internet and modern day technology, these things can be done through our smartphones or various other websites. If you are travelling between Singapore and Malaysia or even Hatyai in Thailand, you should check out CatchThatBus app. 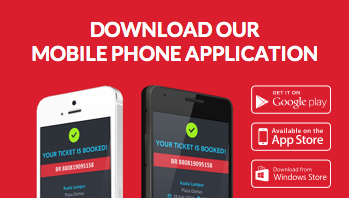 Booking a bus ticket has never been easier especially through their application which is free for download on Google Play and App Store. Next, you would have to figure out how you would get to the various sites and destinations you just researched. Some islands like Langkawi allows you to rent a car which would help you move about the island with ease. Thailand and certain areas in Malacca have their ‘tuk-tuks’ and trishaws which provides the same function as well. Some areas like Singapore have efficient and reliable public transportation services which grant you access to almost everywhere, some may even just be a few minutes walk away to your destination as well. Again, research is required to ensure that you do not spend money on a ride which would only requires a 15-minute walk. #7 What do you need to pack? Next is the horrid packing process. Writing it down on a piece of paper and checking them off after you have packed them into your bag would help you organise your luggage. Also, bear in mind that sometimes it’s best to be slightly over prepared. For instance, bringing an extra pair of clothing in case you get caught in the rain or get dirty after lunch. Medication and inhaler are among the essentials as well. You don’t want to be rushing to the nearest pharmacy in hopes that they have the drugs you are looking for. You might run the risk of being overcharged for a drug at that point as well, leaving you no choice but to splash your cash, when you could have spent it on that boat ride you always wanted to go on. Another thing is the room receipts, as a form proof of purchase in case, the system at the hotel never registered your booking, avoiding landing yourself in a situation that could have been easily avoided. Last but definitely not at all the least important is the respective chargers for your electronic devices. Aside from your smartphones, you may be bringing along your laptop or DSLR camera as well. To be on the safe side, you might want to bring an adapter or even a multi-purpose plug as well just in case you are unable to find a suitable electrical socket. #7 Have you applied for travel insurance? Having travel insurance is something that not many people thought of. You should never underestimate the importance of getting yourself travel insurance because just like any other insurance that you get, it ensures you a sum of money if ever some unfortunate unforeseen occurrence were to happen, example like your luggage or items might get damaged or lost. There are a wide range of travel insurance to look at and research is definitely needed before you choose which one is perfect for you to acquire. However, instead of spending hours searching for it and jumping through links, you could head over to GoBear and compare various reliable travel insurance or even credit cards by just filling in necessary details in their search option provided. GoBear is a free, reliable and easy-to-use comparison site. Don’t travel bare. Compare and save up to 55% on travel insurance. Also, find the best cashback credit cards for your dining and shopping. Compare at GoBear now. #8 Is your house in good hands? It would be a nightmare if you find your house empty upon returning from your travels. On top of that, you would have to make a police report followed by the lengthy procedures you have to go through with the local authorities after that. So, in order to avoid such catastrophe and draggy scenarios, look into the safety of your home and belonging you are about to leave behind. Please ensure that the switches and gas in the kitchen are turned off. You can install a timer for your lights at home, to make it seem that someone is actually at home. You might also want to lock your windows, doors and other points of entry that would provide the opportunity for unwanted guest to enter your premises. You can also inform your neighbours and family members that you would be travelling just so they could keep an eye on your house when you’re away. If ever you may have a pet at home, you can always send it to the pet hotel or even hand it over to your friend or family member who are willing to look after it while you’re gone away.